In Christmases past, 2014 Nicholl Fellowship-winning screenwriting duo Alisha Brophy and Scott Miles have used their talents to create animated Christmas cards. They first year, they tried to turn their card into a holiday blockbuster. Last year they told the tale of how Santa got his terrible screenplay turned into a movie. This Christmas, they’ve gone all out and created the trailer for Snowdin, the story of a whistle-blowing elf who leaks Santa’s naughty list. 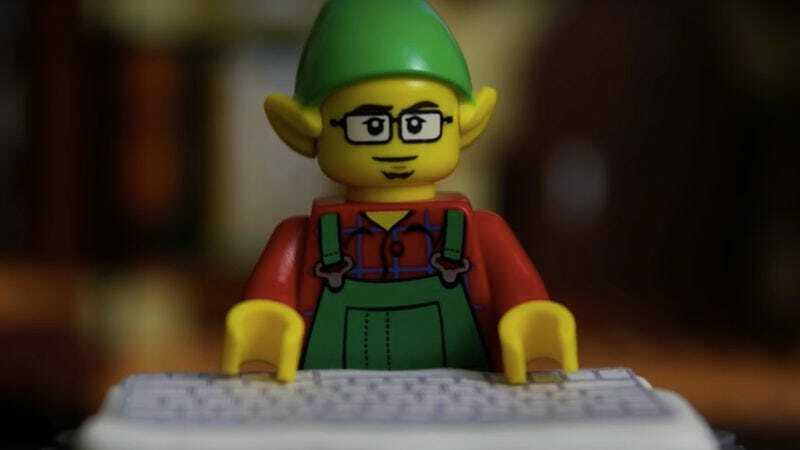 Not only is it a hilarious send-up of whistle-blower/conspiracy movies, it’s also done entirely with Lego in stop-motion animation, making it possibly the most labor-intensive video Christmas card ever. More importantly, it makes it abundantly clear that, when you think about it, Santa is probably a megalomaniacal, paranoid, surveillance-obsessed tyrant. He actually knows when you are sleeping. That’s just creepy.